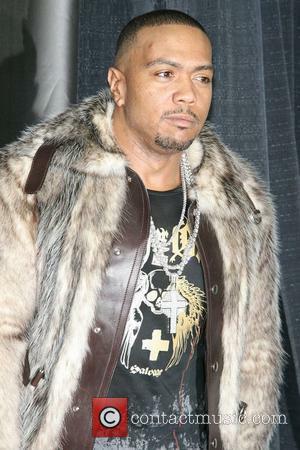 The Thomas Crown Chronicles: Timbaland has most Top 40 hits in 4 years! Billboard magazine reports Timbaland has had the most Top 40 Billboard Hot 100 singles since 2005. His run includes number-one singles with Justin Timberlake and Nelly Furtado, in addition to producing numerous Top 40 hits for the likes of Drake, Katy Perry, Keri Hilson and One Republic. All told, Timbaland has 25 Top 40 hits during the last five years. Longtime The-Dream collaborators Stargate are second with 22 Top 40 Billboard Hot 100 placements, including the Beyonce's "Irreplaceable" and "So Sick" by Ne-Yo. Lukaz "Dr. Luke" Gottwald, whose most notable Hip Hop contribution is Flo Rida's "Right Round" is tied for third place with Nathan Chapman. Both producers have 21 Top 40 placements to their credit over the last five years. Finally, former Jim Crow member Polow Da Don and Timbaland protege Danjahandz round out the top five with 18 Top 40 Hot 100 songs since 2005. "Longtime The-Dream collaborators Stargate..." Since when have Stargate and The-Dream collaborated? Ever? ^ I don't recall that ever happening. It's been Ne-Yo and Stargate (and Taj Jackson and Stargate, and Amanda Ghost and Stargate, etc), never The-Dream and Stargate. I wonder how the divide between Polow and Danja went. Or, was it 18 each? I wonder if Danja counted for Fergie's "London Bridge", since I recall him playing the drums.